Executive Summary: After your plane crashes into the Atlantic ocean, you swim to the shore of a strange lighthouse. A bathysphere inside takes you to Rapture, an underwater city built by Andrew Ryan. Ryan built this city to escape the governments of the surface world, to build a place where a man could stand on his own without civic obligations or morality weighing him down. His vision realized, Rapture was soon overrun with splicers, people who've infused themselves with genetic manipulations to give themselves superhuman abilities. Trapped in Rapture, you find aid in the form of Atlas, another person trying to escape Rapture with his family. While Rapture descends further into chaos, Atlas guides you through territories controlled by Rapture's most cunning or powerful monsters. Dystopian Visions: Rapture is a city in decay. Every corner is moldy and wet, the city on a precipice in an environment inhospitable to humans. The city itself is as much a character as any others in the game. Making things worse, the splicers are everywhere. Without laws or morality, the citizens of Rapture reached great heights, but they also committed horrible acts against each other because they could. One's capacity for power was only restrained by what they were willing to do to get it, so the splicers juiced themselves up on genetic enhancements until they went insane. Some of Rapture's most prominent citizens got there power by taking their interests further than any other. To this end, one of the most interesting characters is Sander Cohen, an artist who eventually grew tired of conventional media and began to use people as his canvas. Utopian Undercurrents: Rapture is very obviously the Ayn Rand/Libertarian utopia taken to its furthest extreme. "No gods or kings, only man" reads a banner that hangs under a bust of Andrew Ryan within the lighthouse seen in the first 5 minutes of the game. It's this philosophy that drives Rapture to exploit ADAM, the material that allows for easy genetic manipulation, and drives them to create the Little Sisters and Big Daddies. The Little Sisters are children who've been used to harvest ADAM, and the Big Daddies are their monsterous adult protectors, unbreakably bonded to their duty. This constant drive for more and better builds Rapture to paradise on Earth, until it's pushed over the edge by simple human greed and ambition. Level of Hell: Sixth. Rapture is a bad place to be if you're not spliced up, but obviously some in Rapture have flourished. If you have no personal limits on what you're willing to do, you might do well in Rapture, provided someone else doesn't kill you off before you get a foothold. Legacy: Bioshock is important for changing how video games were perceived. 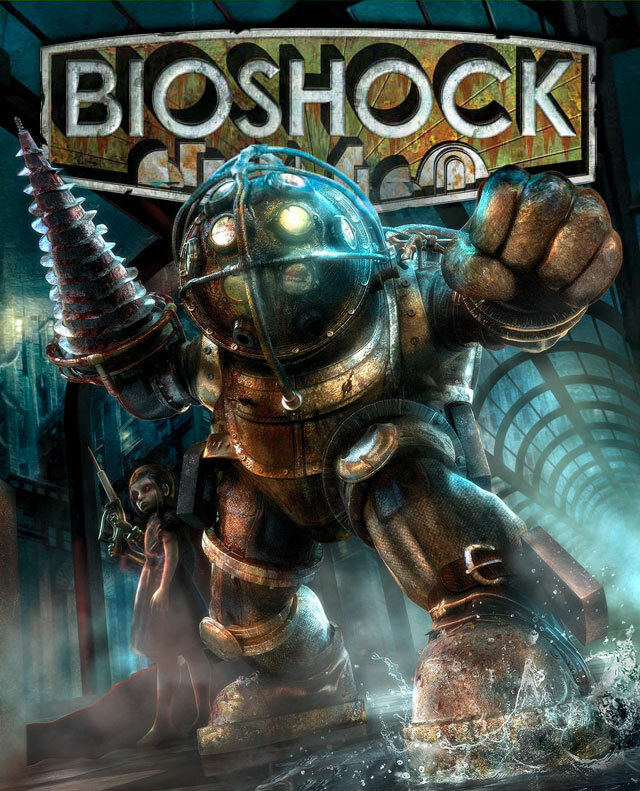 At a time when the arguments over whether video games could be art were still fresh, Bioshock told a compelling story with a few twists that could not be as simply replicated with film, the media video games get compared to the most. While the game itself was a natural evolution from some of the games that preceded it (namely Irrational's previous game, System Shock 2), it arrived at a time when consumers were ready for more ambitious story and experience. Bioshock led to one direct sequel, Bioshock 2, which was developed by a different team but still set in Rapture, and Bioshock Infinite, set in the cloud city of Columbia. They both take the approach of "thinking person's shooter" with different angles and degrees of success. In Retrospect: Bioshock is still absolutely worth playing today, even if it does show its seams and edges more readily than in the past. It changed storytelling in games, so you may not be as susceptible to its wiles but know that your favorite story-heavy FPS game probably got its influences from Bioshock. It's unlikely that you haven't had the story spoiled for you yet, but you might not realize it until your deep in it. Also, few games do world building as well as Bioshock. Rapture is a place you will wish you could experience and return to more often.